Hey there! I hope everyone's weekend is going swell. Mine has been mighty busy (for an introvert like me) so I'm going to enjoy some couch and swatching time today. But first, and way more importantly, The Digit-al Dozen is celebrating our only October baby, Amber from Nails Like Lace for this month's birthday mani. Every month, the birthday girl(s) pick an image for us to be inspired by and Amber chose a fun (but strange) cat. Check out the original inspiration after the jump. Hey there! 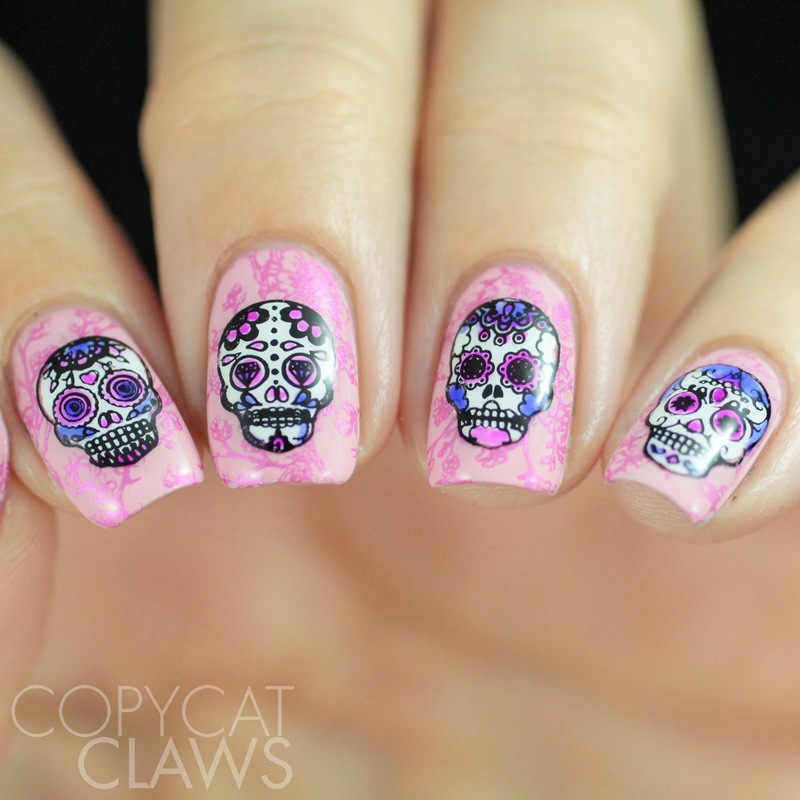 I think today is going to be my final Halloween nail art look for the year. I have to admit, I'm a bit tired of doing them (though I'm still incredibly impressed by ones I've seen other nail ladies doing). It feels like I've had Halloween nails on for two months! But at least my final one is combined with a negative space prompt for the 26 Great Nail Art Ideas challenge this week. I do love negative space stamping images so that's how I've interpreted it. Hey there! 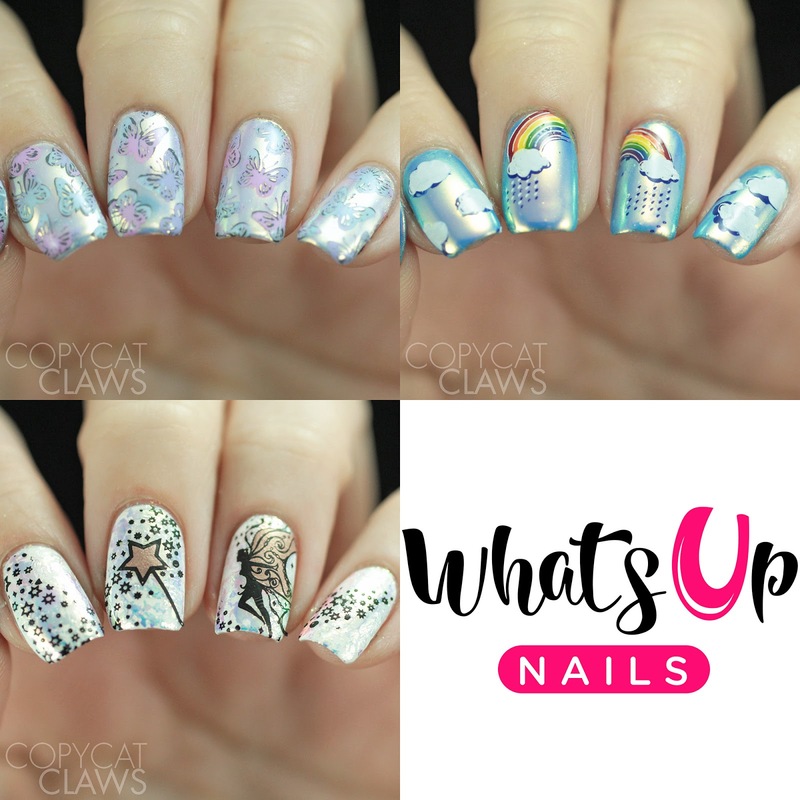 Today I have a blog of a few products from Whats Up Nails. This summer they came out with their Aurora Pigment, a powder that gives a beautiful unicorn chrome look to lighter base colors. More recently they released 3 new Aurora products, the "Supreme" line. There's a powder, a pigment and some flakies in this line. I was lucky enough to receive all 3 of them. 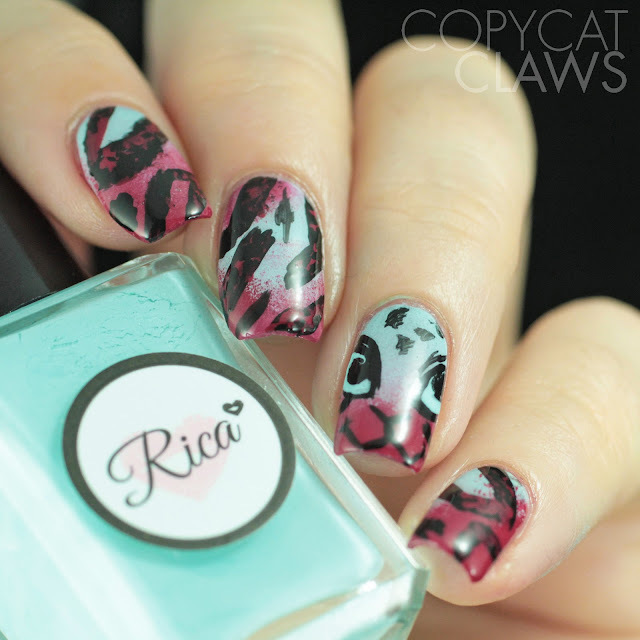 I tested all three out and did some stamping with the B014 Magical Playground plate. I also did a comparison of these three with the original pigment. The differences are subtle but hopefully they might help anyone who is trying to decide which of these to purchase. This post is pretty photo heavy (I really love the Aurora products) so buckle in! Hey there! 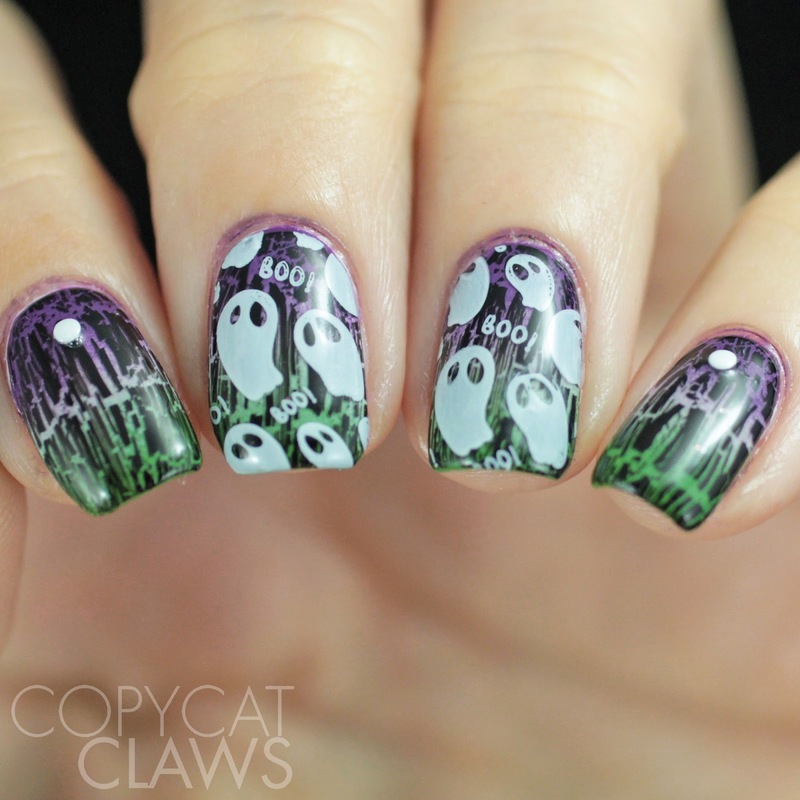 Since Halloween is coming up quick, I thought today would be a good time to show you the two Spooklicious plates from Lina Nail Art Supplies. When Lina asked me if I wanted to try out a few of the new plates, of course I jumped at the chance. I've adored her plates since she started her brand late last year, both as a blogger and a regular ol' customer. I'd been kicking myself for missing out on the first Spooklicious plate last year so I made sure to purchase it this year. 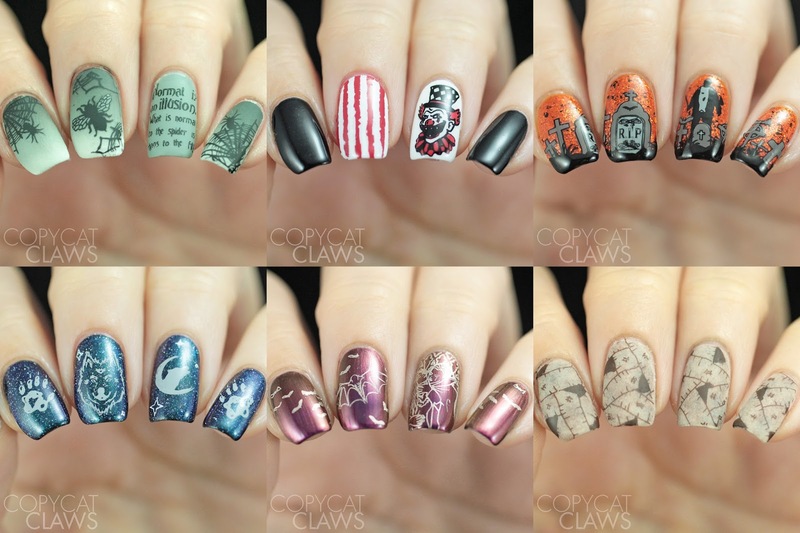 I've done a couple manis with each plate to share with you guys today. Hey there! I hope everyone's weekend has gone well. Mine has been very relaxing, maybe a little too much so. So I've decided to put my couch time to good use to show you guys some incredible water decals I recently received from Whats Up Nails. Don't be surprised that these are some super high quality decals. I've been consistently impressed with all the products I've gotten to review for them and these are no different. Keep reading to see all the details. Hey there! Today brings me to the last post (at least of this round) of the Nail Crazies Unite challenge. But at least we know there will be more prompts coming next month! 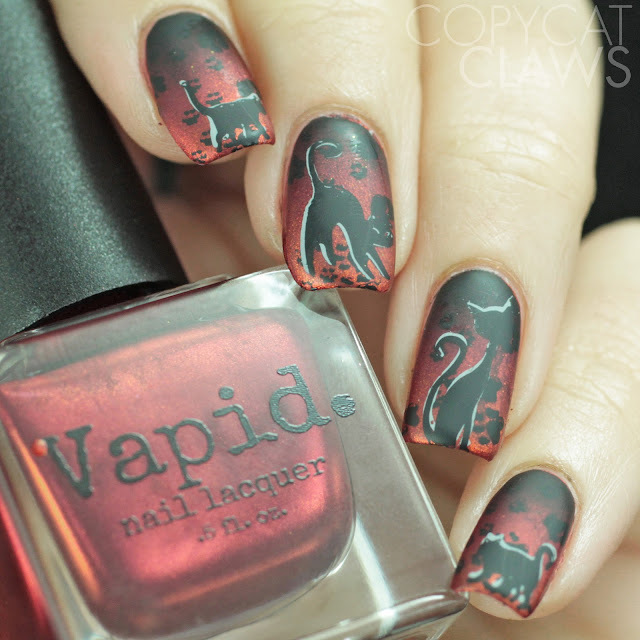 To end this time around, we're finishing with Vampy Matte, a theme I was super looking forward to but ended up sort of failing at. 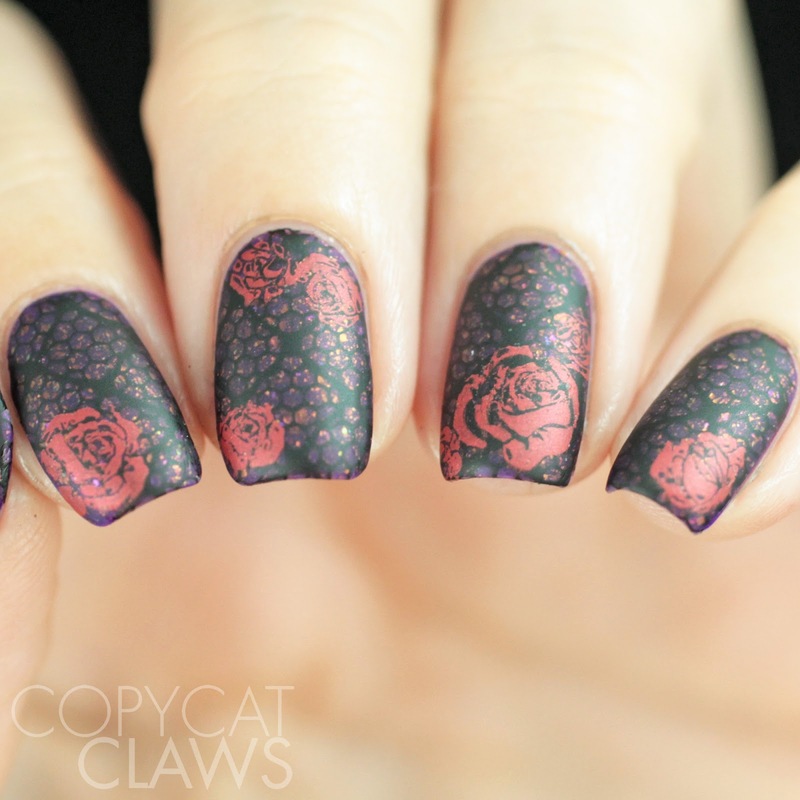 I love vampy colors and I love making my nail art matte, but these just ended up too dark to see all the stamping (hence the overexposed photos). I liked the final look anyway, even if I was the only one who could see the lacey background in real life. Hey there! Today marks the release of two new stamping polish collections from Moonflower Polish. 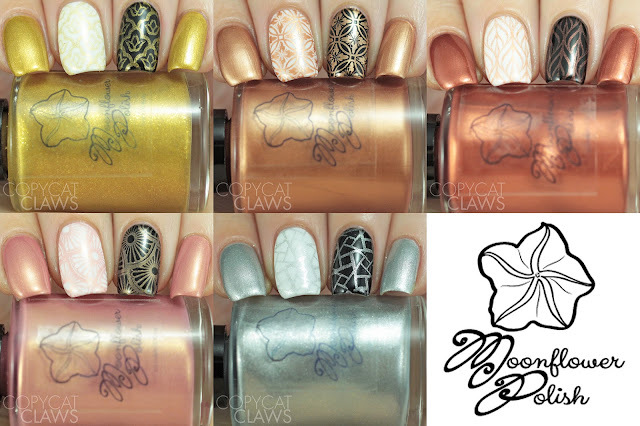 There's a set of 6 holographics which are absolutely perfect for fall and a set of 5 metallics. Both collections are lovely, both as stamping polish AND as regular polish. Maybe some of you have noticed but I pretty consistently use Moonflower Polish not just for stamping but also for nail art since it's so opaque. 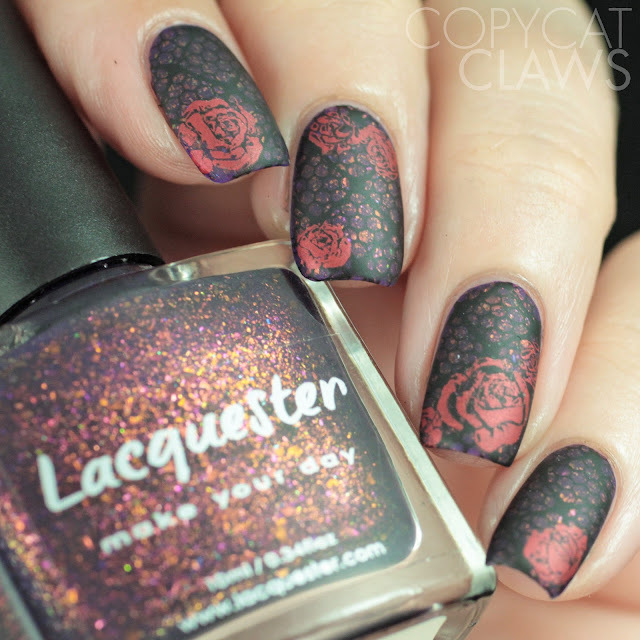 It's fabulous for gradients and for quickly painting in reverse stamping. I'm happy to now have these sets in my possession so I can do the same with them! As a side note, the creator, Nadia, is such a perfectionist that she noticed some parts of these formulations that she thought could be made even better so she has since modified them a bit (which I'll make note of in my descriptions). You gotta love a maker that wants to keep improving her product! Keep reading for all the details and links. Hey there! It feels like most of what I've been blogging about lately is Halloween-themed so it's refreshing to be sharing some just lovely stamping plates today. Recently UberChic Beauty has come out with a couple of new plates, Radiate Love and Texture-Licious 03 and they both worked perfectly. The Texture-Licious plates are one of my favourite series that Brittany has come up with. 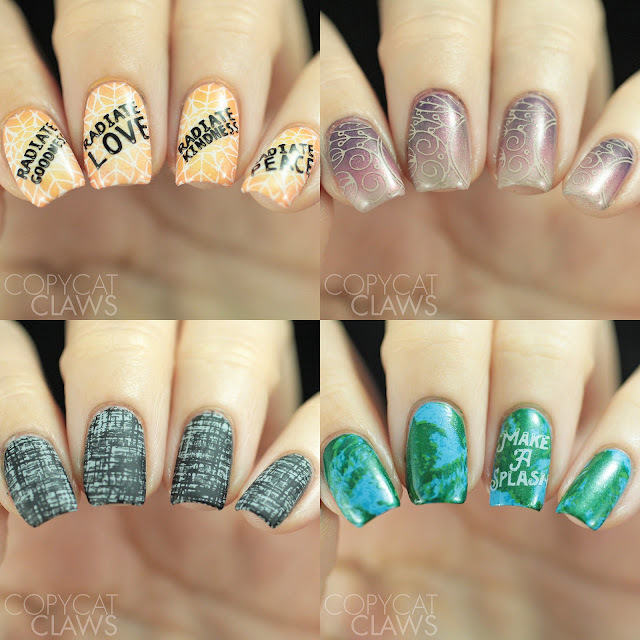 They're so great so easy layering and always result in awesome looks but I have to say that I really like the Radiate Love plate as well, with it's mandala images. Mandalas aren't always something I'm in the mood for (only because I feel like I should color inside the lines which I often fail at) but I really enjoyed wearing these manis. Hey there! 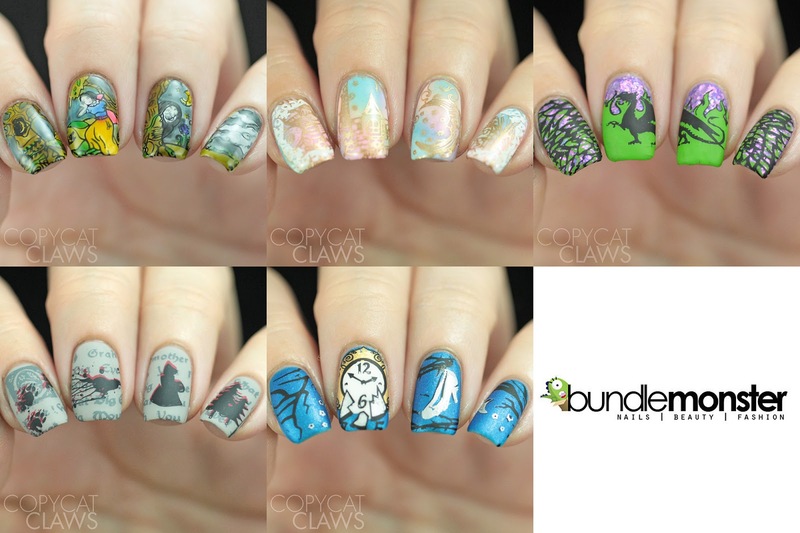 Bundle Monster's newest collection of plates isn't specifically Halloween-themed but it could be. The Happily Never After collection is a set of 5 plates all inspired by fairy tales. And they do a very good job reminding us that the original stories behind them are actually quite frightening! 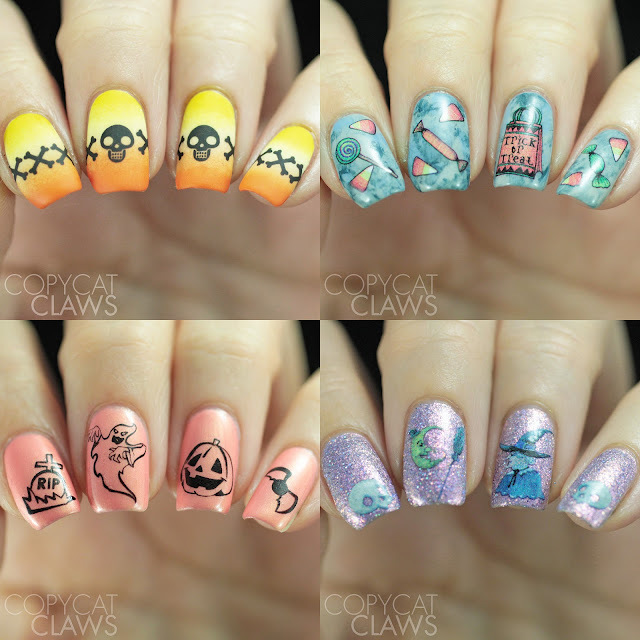 While you could definitely do a some scary designs with each of the plates, I realize that not everyone wants plates that you can only use at Halloween so I tried to come up with designs that could be worn year round. 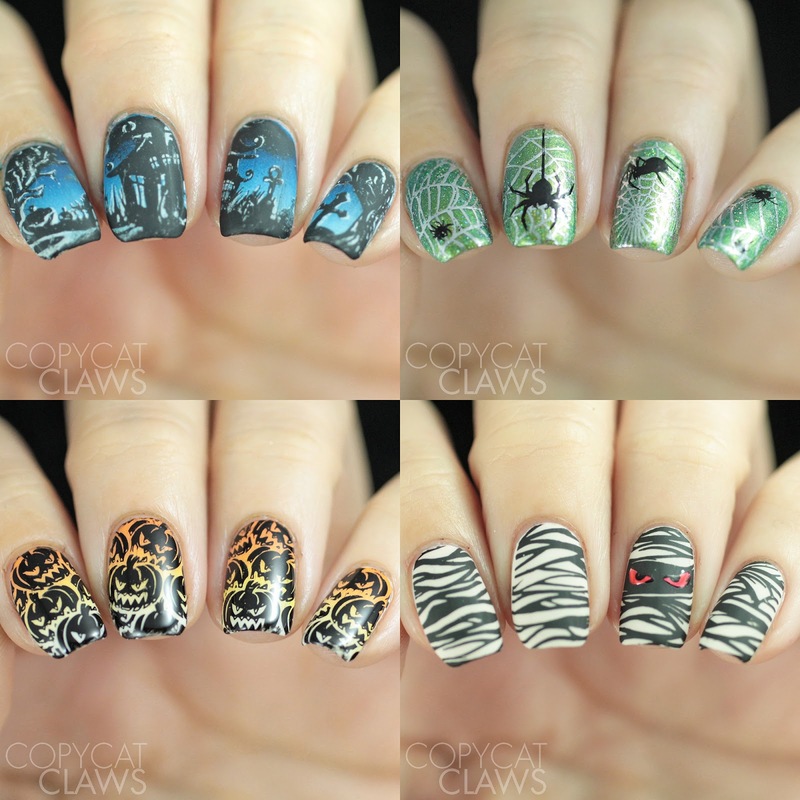 In other words, don't let the time of the release of these plates make you feel that they're only for Halloween. They can easily be used whenever you want! Hey there! Today I have a product that I've never tried before from Bundle Monster. Did you know that rub on decals are a thing because I sure didn't! I remember using rub transfers when I was a child but never fathomed that I'd be using them on nails one day. It turns out that Bundle Monster has a few sets of these rub on decals. I got to try the Halloween rub on decals. 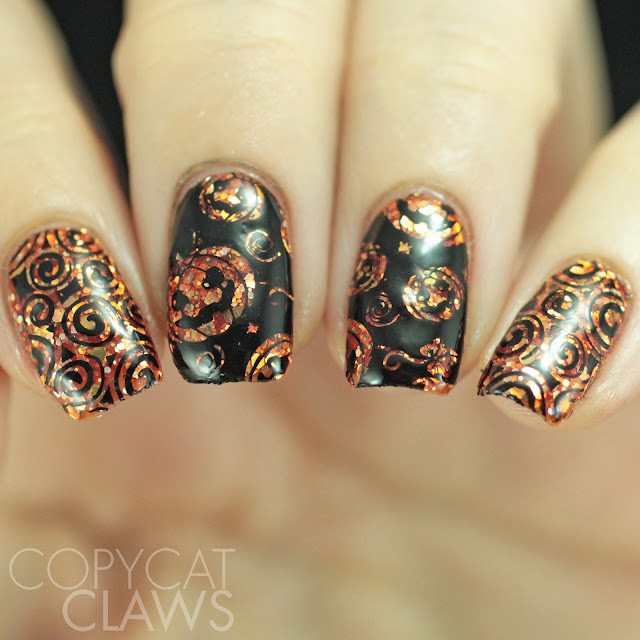 While I'll probably always love stamping the most, these were really fun to play with. It was like reliving childhood! Hey there! A couple of weeks ago I worried that there would be no more 26 Great Nail Art Ideas...but we have been resurrected thanks to Cathy and Cheyenne! Truly, they're such nice women and I'm very grateful that they've taken over managing the group. And they've come up with a great first theme. To commemorate the date, we're doing Friday the 13th nails. I was tempted to do birthday nails since my mom was born on a Friday the 13th but I thought that might be a bit too obscure. 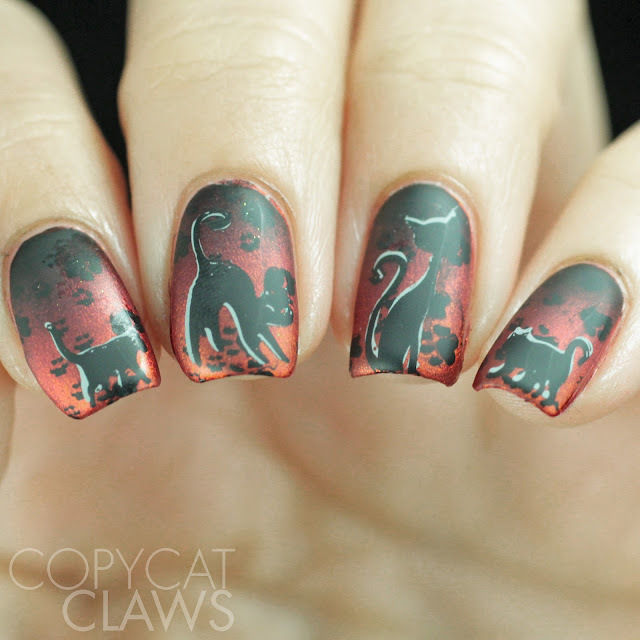 So I went with some bad luck black cat nails instead. Hey there! For the fifth and final Throwback of the Digit-al Dozen theme this week, I've thrown back to one of our old themes. I went back through all the themes we've had since I joined in January 2015 and decided I wanted to tackle Geometric again. It's a prompt I often have issues with. 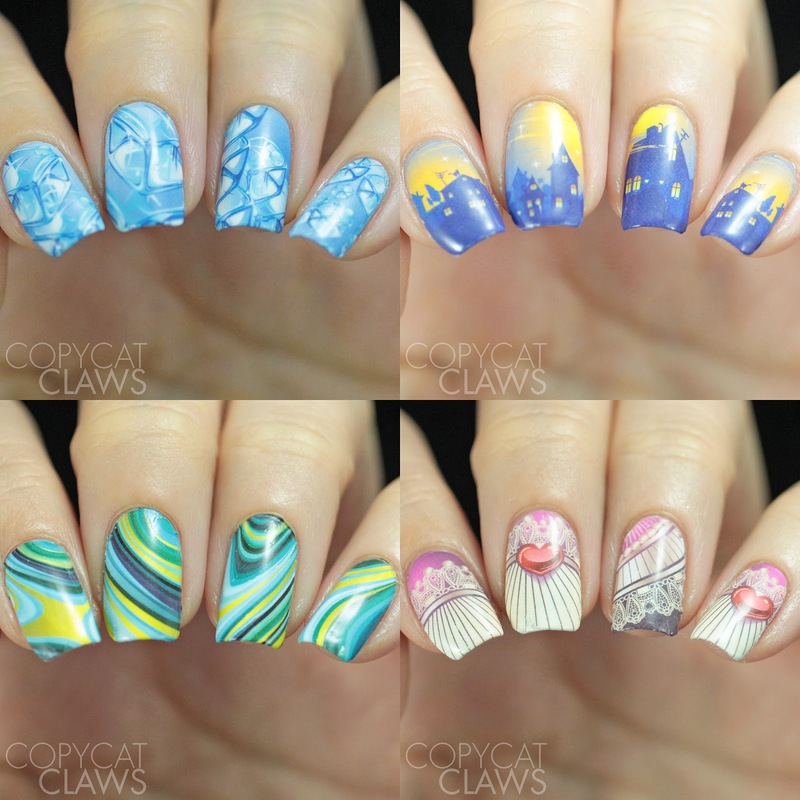 But this time I had some Stained Glass Stencils from Whats Up Nails which made it much more bearable! Hey there! It's the Throwback Thursday of this month's Digit-al Dozen theme! 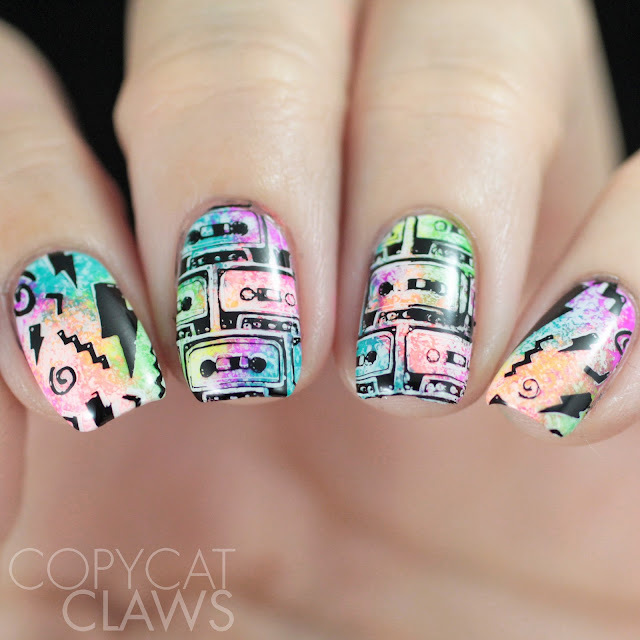 Since Throwback Thursday always makes me think of great older music, I'm posting an 80's-inspired music mani today. 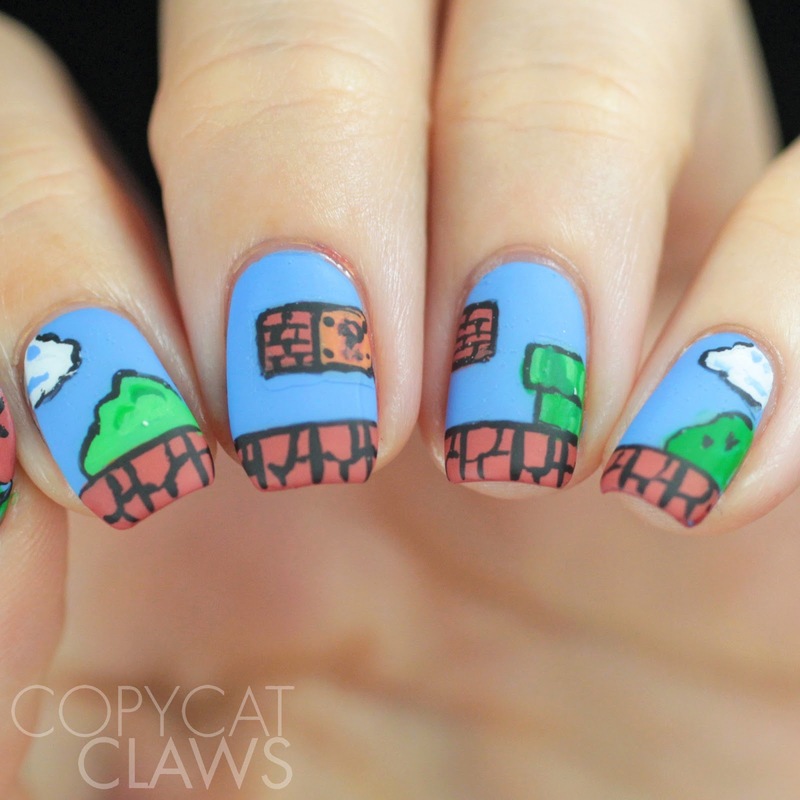 This the Super Mario Bros nails I posted a couple days ago, this is pretty much my childhood on my nails! Hey there! 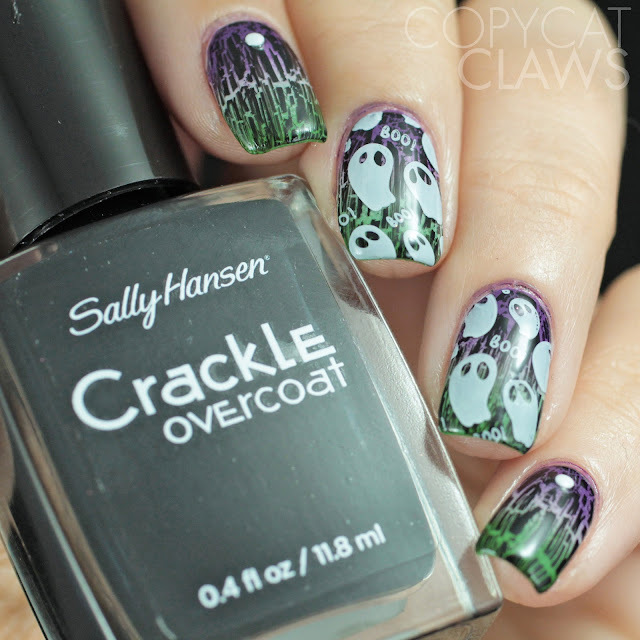 For today's Digit-al Dozen Throwback mani I went with a polish type that we don't see much of anymore - crackle polish! Remember when this was all the rage? 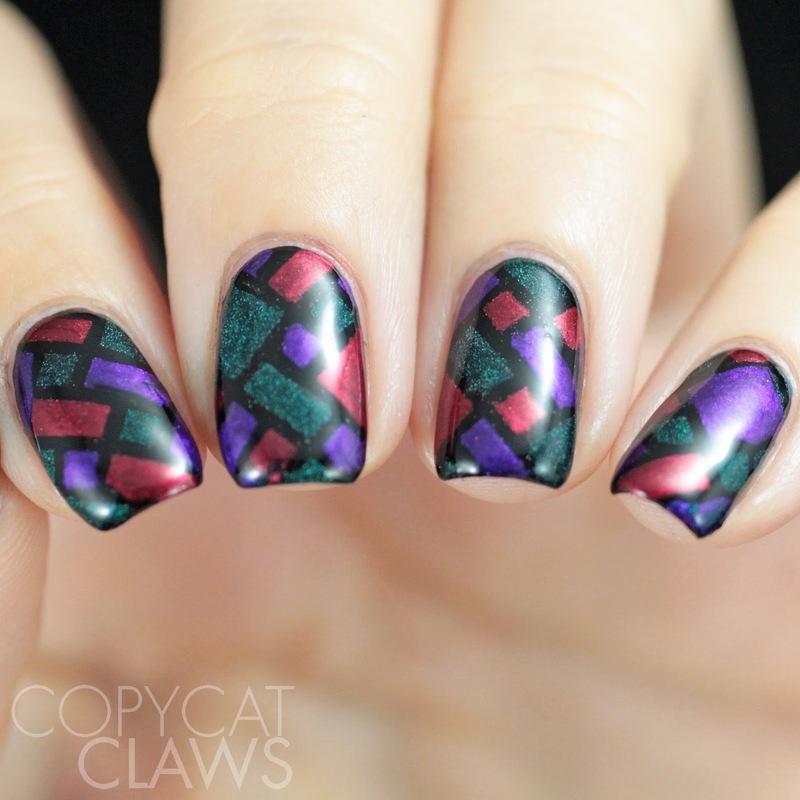 I have seen some recent-ish nail art done with crackle polish and it looks great but I don't think this will ever get as popular as it once was. But it works amazingly in this Halloween look I did, inspired by this YouTube video. Hey there! 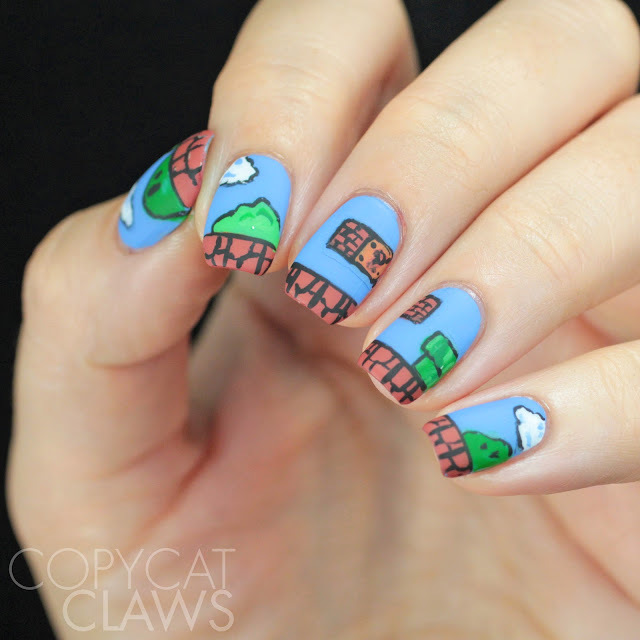 For today's Digit-al Dozen "throwback" mani I decided to go with something that I have spent many, many hours of my life on - Super Mario Bros. I swear I wasted my half my childhood on this game, between versions 1-3. And then more hours on in with versions for the Wii. My niece still likes to play the newer one when she visits. I even got bored enough this weekend that I tried the original one again - I died very quickly! Hey there! It's time for this month's Digit-al Dozen theme...hooray! This month our theme is "Throwback". I had a blast with it since I felt like it could be interpreted in so many different ways. I started by doing a throwback mani. Since today is Canadian Thanksgiving, I thought I could redo the Thanksgiving nails I posted the very first year of my blog. I think this year's turned out better. Hey there! In October it ends up feeling like most my nails are done in Halloween colors so once in awhile I reach for something different, even if it seems like it won't work. 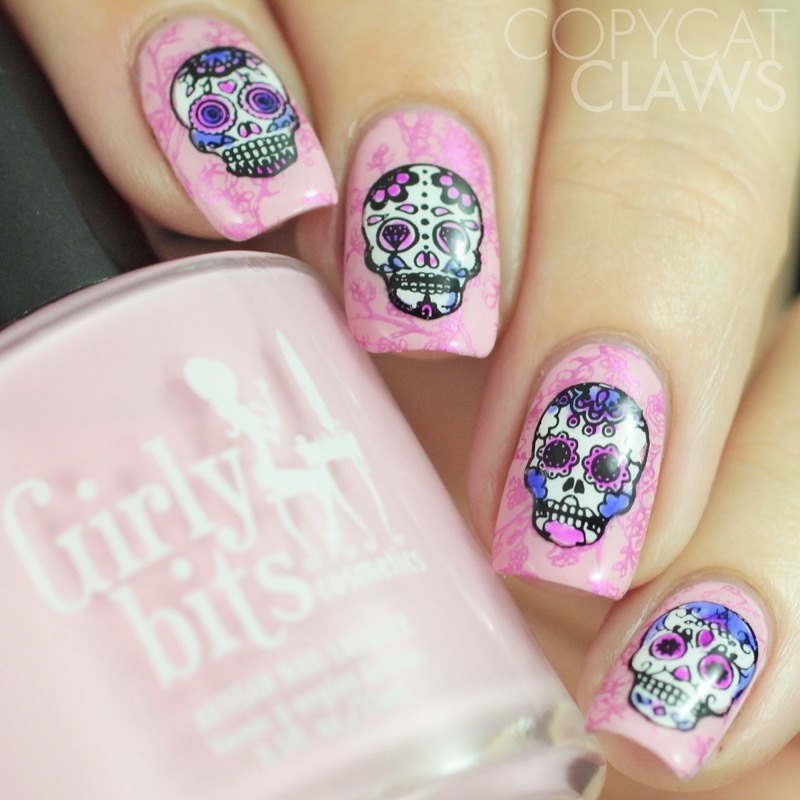 That's what I did here for my Nail Crazies Unite Sugar Skulls mani. Though I suppose sugar skulls can be all the colors of the rainbow so anything goes! Hey there! 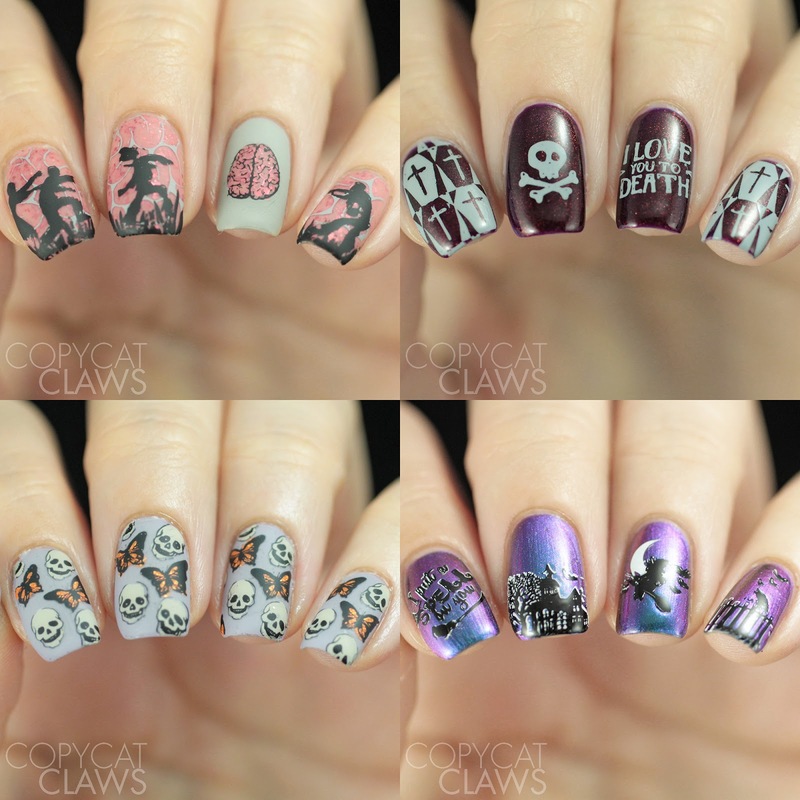 'Tis the season so I have more Halloween stamping plates on my little blog today. 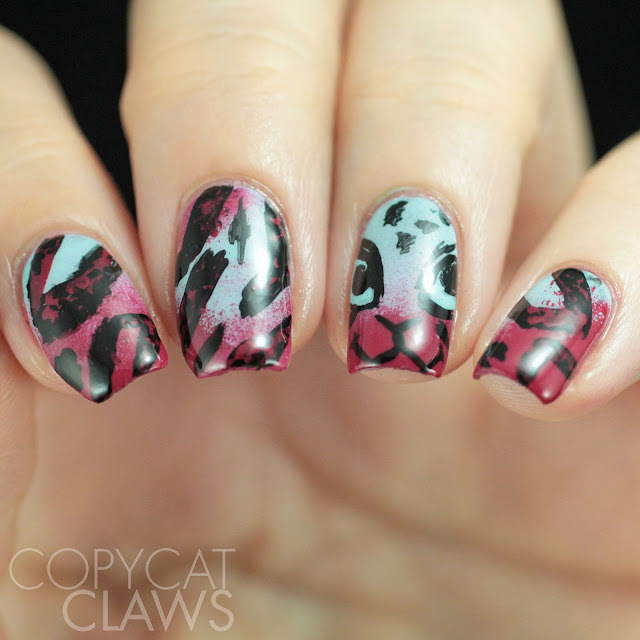 These ones are two from Whats Up Nails, A012 and B023. A012 is a buffet-style plate PLUS a whole bunch of individual images that can be mixed and matched into almost infinite Halloween designs (well, maybe not infinite...I haven't done the math but it would be A LOT). 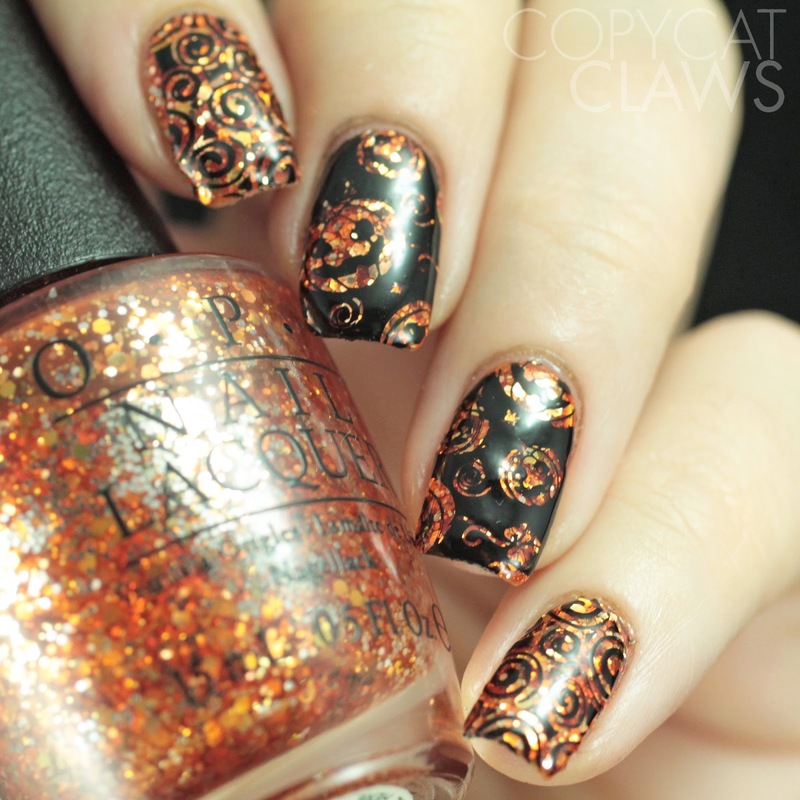 B023 is much more of a traditional looking stamping plate with 12 full nail images. They both worked perfectly for me, including those skinny spiderwebs. That's impressive! Hey there! It's time for more spooky stamping from me, this time using the Bundle Monster House of Horrors stamping plate set. I think quite a few people got some of these for free in a little promo they had running recently. I was lucky enough to get the entire set to review so I thought it'd be a good time to post these in case folks need a bit of inspiration. This set is really eclectic and manages to be kinda scary without having any of the typical Halloween images like ghosts or witches or jack o'lanterns. That's impressive! Hey there! To bring in the new week (and the new month) I have some autumnal Whats Up Nails art to share with you guys today. 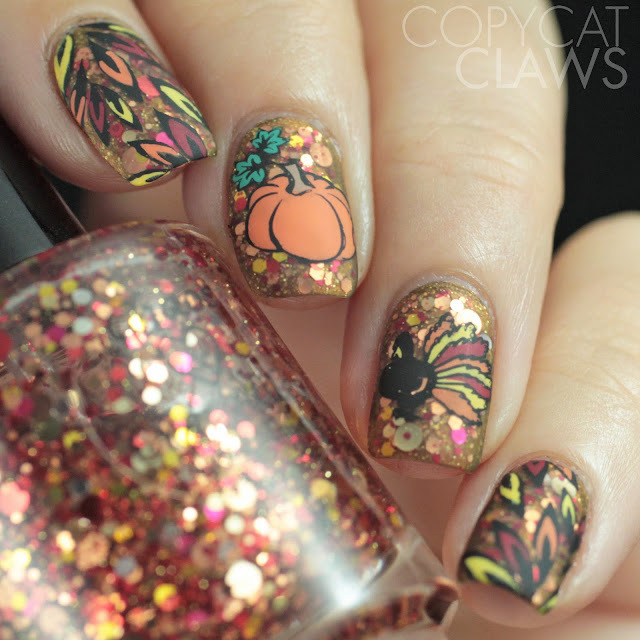 Last week I showed a few manis I did with a couple of their fall-themed stamping plates but today I have another type of product they excel at - stencils! 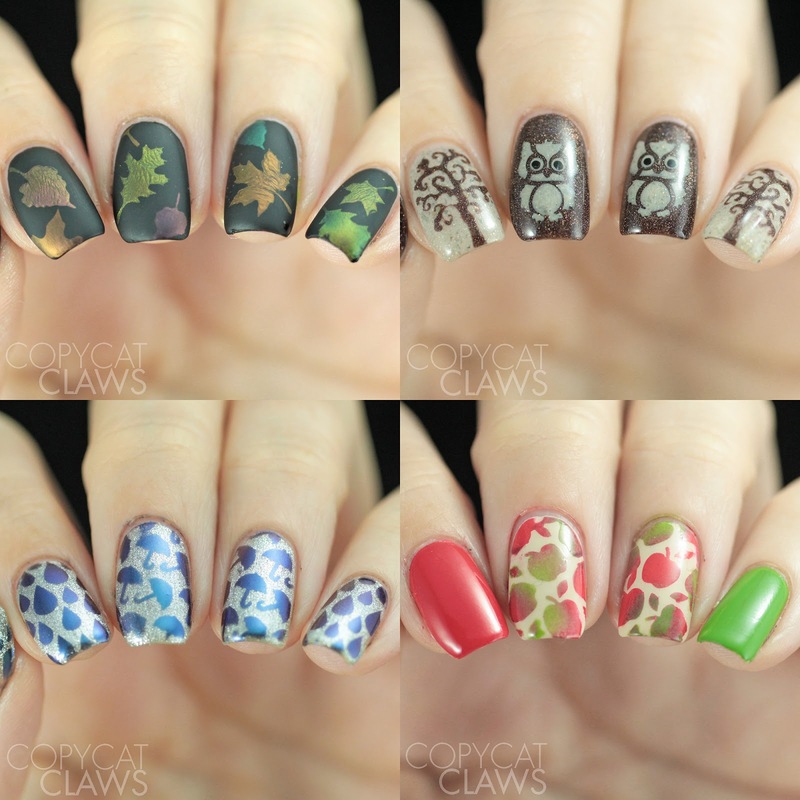 I only have 4 looks I did with these here but there's actually 6 different stencils used: Fall, Owl, Scary Tree, Umbrella, Rain and Apples. 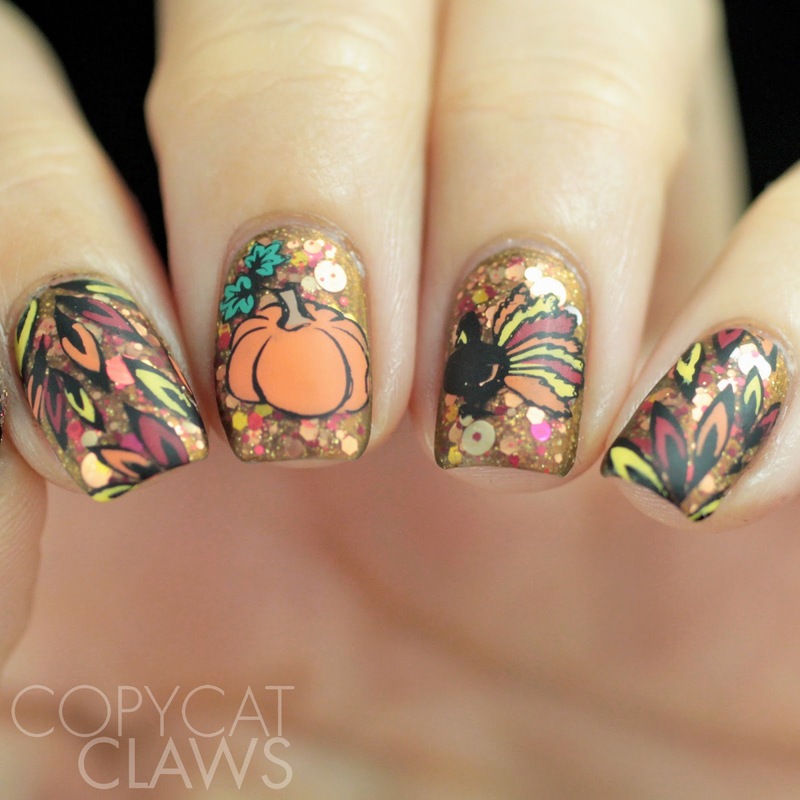 Actually I don't know if these are all supposed to be autumn stencils. I'm sure the scary trees are meant to be Halloween-themed but I guess I'm a big rebel. Even if I used the wrong, I hope you like them!